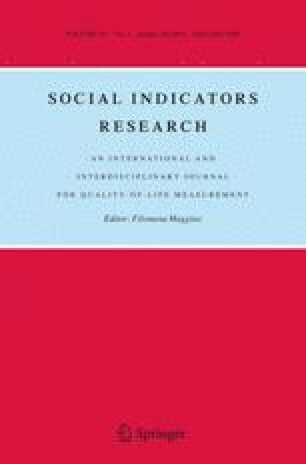 This paper constructs a weighted measure of the multidimensional concept of gender inequality: the Multidimensional Gender Inequality Index (MGII). Multiple Correspondence Analysis is used to rank the separate forms in which gender inequality appears in developed and developing countries respectively. Eight dimensions were identified as relevant for economic purposes: identity, physical integrity, intra-family laws, political activity, education, health, access to economic resources, and economic activity. In the 109 developing countries considered, gender inequality in the identity and family dimensions are particularly severe for women: these dimensions hence have greater weight in the MGII. However, in OECD countries gender inequality occurs mainly in the political and family dimensions. Nevertheless, the family sphere remains particularly important for gender inequality, whatever the level of development. The MGII is a non-linear weighted composite indicator of gender inequality which yields a country ranking. The South-Asian region is calculated to be the most unequal. The paper was written while I were working at Centre d’Economie de la Sorbonne, Université Paris I Panthéon Sorbonne and Paris School of Economics. I thank the participants at the ISS Gender and Development Workshop, at the CSAE Conference and at the CES Development Economics and Gender Economics Seminars. I am also grateful to OECD Development Center members, especially Somali Cerise and Johannes Jutting, and Pr. Stephan Klasen for their help. Finally, I thank Alex Michalos and two anonymous referees for their useful comments. We present here the correlation test for the variables included in each dimension. The p values correspond to the null hypothesis that the two variables are independent of each other. *, **, *** represent significant correlations at the 10, 5 and 1 % levels, respectively. See Tables 7, 8, 9, 10, 11, 12, 13 and 14. The small dataset of 21 OECD Europe countries may bias the MCA results. There is no consensus in the literature concerning the minimum dataset size required to apply the MCA, which has remained little discussed. Nevertheless, stability tests allow us to confirm the significance of the results. See Tables 15 and 16. Dataset size is strongly linked to the question of its representativeness. Here, I focus on 21 European OECD countries for the sake of homogeneity. The exclusion of non-European OECD countries results from homogeneity concerns, as gender inequalities are strongly linked to culture and history. I assume that the European continent is homogeneous from this point of view, although there are differences between countries. There are 34 OECD member countries, including 24 European countries. However, the data were not available for three of these (Estonia, Slovakia and Slovenia) since they ratified the OECD Convention in 2010, 2000 and 2010, respectively. The addition of three new countries (unfortunately not possible since the data are not available) would increase the sample size by 14 %. Could this change the results? Stability calculations are considered to be the most valid procedures by Lebart et al. (2004). From a theoretical point of view, we check the stability of the configurations (MCA factors and values, the orientation of the axes and its configurations) after various disturbances. Empirically, resampling methods are applied. Two methods are used here: the bootstrap and cross-validation to simulate random samples. MCA is then applied to each simulated sample. Finally, bootstrapping provides confidence intervals for eigenvalues. Using Spad.7, MCA is applied to the simulated samples. The correlations between these factorial axes and those of the initial dataset are then computed, which show the stability of the axis. Tables 15 and 16 present the effects of the disturbances simulated by bootstrap and cross-validation methods, respectively. On the diagonals, we can see the stability of the first, second and third factors. Table 15 shows the confidence intervals for the eigenvalues of the first two axes obtained via the bootstrap method. Stability is confirmed, even if we only have 21 countries. Finally, I have checked a number of points in the MCA results: the countries have very different terms; all variables have nonzero terms; the axes are well defined with an inertia of about 78 % for the first axis and 10 % for the second for a total of 88 %. These three steps allow us to confirm the relevance of the MCA applied to the 21 European OECD countries.